Pokemon GO’s Gen II update is finally available and trainers everywhere are getting back to their quest to be the very best. There are over 80 new Pokemon added to the game, but chances are you’re only into the best, so we’ve put together a list of the ones you should look out for. We must note, though, that this list will not include any of the legendary Pokemon you’re probably hoping to catch. Just like in the first run, chances are that you won’t be able to just find Pokemon GO’s newest legendaries. So to keep things in the interest of reality, we’re just focusing on the ones we know you can 100% find and catch out in your hometowns. Cydaquil’s family (Cyndaquil, Quilava, and Typhlosion) fares a bit better in the weakness department than Chikorita, and is a bit more balanced in terms of attack and defense. However, it’s high special attack makes it a nightmare for Grass, Ice, Bug, and the newly introduced Steel types in Pokemon GO. This Mareep Evolution is solid across the board, though its biggest draw is its special attack and defense. It can take quite the beating, and dish out even worse, sitting up there with some of the in Pokemon GO right now. It’s typing may not be the most exciting, but with only one real weakness in the form of Ground, and the ability to decimate Water and Flying types, it’s a force to be reckoned with. Espeon probably won’t be your first option for basic attacks, but when it comes to using special abilities, this is one seriously strong option. It can deal massive damage to most enemies, though it is completely useless against Dark, so keep that in mind as they’re roaming the world now. However, it has respectable special defense and high speed, making it useful more often than not. To nab this Eeveelution in Pokemon GO, just name your Eevee Sakura. Umbreon is strong, but for completely different reasons than its Psychic counterpart. It is completely immune to Psychic-types, and it’s only really common weakness are Bug-type Pokemon, although you will want to watch out for the rare Fairies. It has extraordinarily high defense, allowing you to whittle down the health of a troublesome Gym defender as you take everything it throws at you. that’s it for the best gen 2 pokemon in pokemon go as well as the strongest gen 2 pokemon in pokemon go. good luck! Pokemon GO's Gen II update is finally available, and trainers everywhere are getting back to their quest to be the very best. There are over 80 new Pokemon added to the game, but chances are you're only into the best, so we've put together a list of the ones you should look out for. We must note, though, that this list will not include any of the legendary Pokemon you're probably hoping to catch. 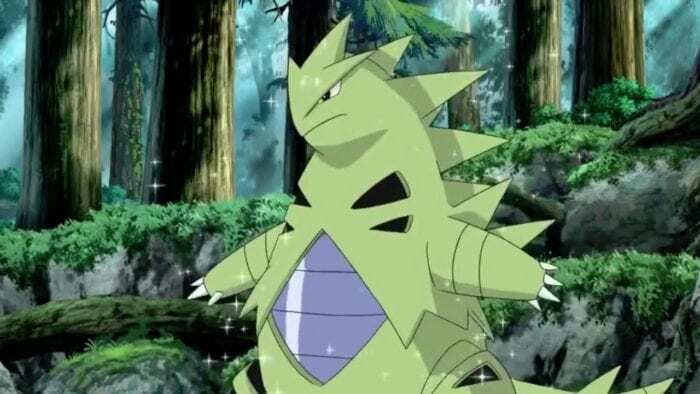 Just like in the first run, chances are that you won't be able to just find Pokemon GO's newest legendaries in-game yet. So to keep things in the interest of reality, we're just focusing on the ones we know you can 100% find and catch out in your hometowns.